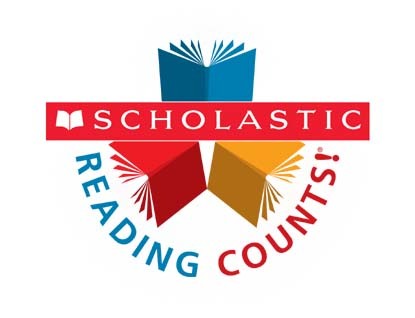 At your next Scholastic Book Fair, select Reach Out and Read Kansas City as the beneficiary of your All For Books Campaign. Encourage your students to help less fortunate children receive a book of their own by collecting loose dollars and change at the fair. At the close of the fair, use the money collected to purchase quality books for kids in the Reach Out and Read program. During a book fair or at an upcoming school event, ask students to clean off their book shelves at home and donate their new or gently used books to Reach Out and Read Kansas City. Books are needed for ages birth - 6 years. Participate in the Annual Hooked on Books Challenge! 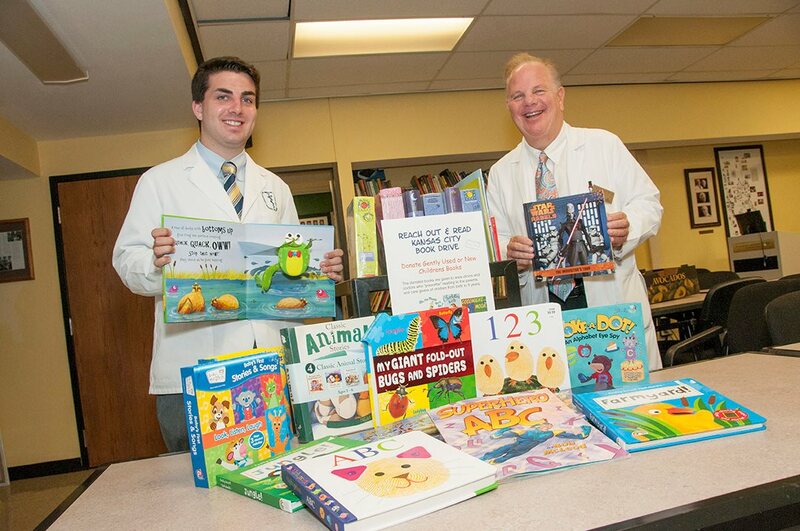 This friendly competition challenges elementary schools to collect the most new and gently used children's books per student. All books collected are donated to ROR-KC and other local non profits. The winning school not only receives bragging rights, but also receives a $500 Scholastic credit. Getting your school and students involved is easy and fun! Please notify Reach Out and Read Kansas City of your partnership selections by completing the online form or calling 913-588-0295. "Working with Reach Out and Read Kansas City is a wonderful organization. Reading is the foundation of all learning and it is joy to know we are helping in their purpose of making every child a reader! Of course, the kids receiving the books are winners, but it is a winning experience for the child that donates the book as well. The whole experience teaches kids the importance of helping others in our community and giving back to those that are less fortunate. Reach Out and Read makes it easy for us by helping us transport the books to those in need. The ROR- KC staff are exceptional in their messages to students as they emphasizes the importance of reading to students and why our book drive is so important to others. We are so fortunate to be part of this amazing partnership!" "ROR-KC provided my first grade students with many wonderful experiences. First, we held our book drive during the month of November, so they were able to share what they were thankful for and to give to those in need. Second, we collected books with our Sixth Grade Buddies, so this allowed for some great bonding time between the grade levels! And last, but certainly not least, my students learned the valuable lesson of how it is better to give than to receive. We plan on making this November book drive an annual tradition! Thank you, ROR-KC!" "Clear Creek truly enjoys supporting the efforts of ROR-KC for many reasons! Reading is so important to our school community that our students simply cannot imagine other children not getting to enjoy the adventures that books take them on daily. They feel a great sense of pride and responsibility knowing that their favorite books are being passed on to other children to delight in. And not only do our families feel accomplished as they spread the love of reading, supporting others in need is a great learning experience for all. My students beg for the Hooked on Books competition! Not only do they want to clean off their bookshelves to make room more for new books, they want to help the Kansas City community and ignite a passion for reading and books in others!" Thank you for helping instill the love of books and reading in Kansas City's kids! 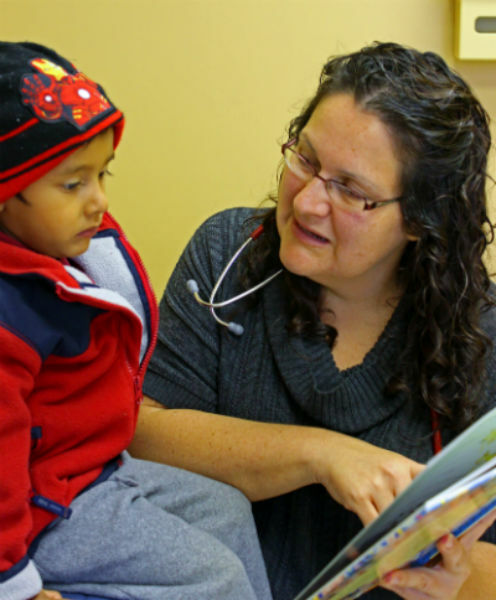 Reach Out and Read Kansas City partners with over 50 clinics and health centers throughout the metropolitan area to provide critical early literacy programs and services to low income children birth to age 5. Is your clinic interested in joining our coalition of medical providers? 1. Provide regular well-baby and well-child visits for children birth to age 5. 2. Serve at or below 200% of the Federal Poverty Guidelines (minimum 50% of the total patient population). 3. Located in the greater Kansas City Metropolitan area (Johnson, Wyandotte, Jackson, Clay, or Platte County). 4. Dedicate a trained medical provider to serve as the Reach Out and Read Medical Director and one other staff member to serve as the Reach Out and Read Kansas City Site Coordinator. If you or your clinic meet the minimum requirements, please email mmattison@kumc.edu click here to learn about the next steps to joining the Reach Out and Read Kansas City Coalition and becoming a Reach Out and Read clinic. For more information, please contact Jenny Horsley at jhorsley@kumc.edu or at 913-945-6577. Would you like to get involved with a great program that helps children throughout our community? Are you interested in making a difference in others' lives that will have true impact? if so, we invite you to become a Reach Out and Read Kansas City Volunteer. Our volunteers are the backbone of our program, and we are always welcoming new volunteers into the Reach Out and Read family to help share the joy of books with families throughout Kansas City. 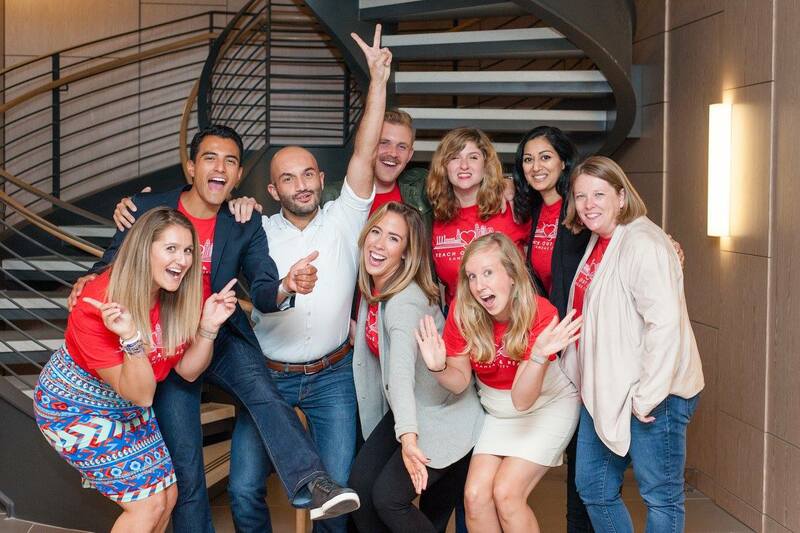 Check out the many opportunities below to find the best way for you to get involved and be the change you want to see while supporting Reach Out and Read Kansas City. If you love interacting with children and bringing smiles to their faces, then becoming a volunteer reader in one of our 30 clinic waiting rooms throughout the metro could be the perfect opportunity for you! Reach Out and Read Kansas City volunteer readers create literacy-rich waiting rooms, read aloud to children, and model book sharing activities to parents. This opportunity will not only enhance a child's life but will also enrich your life as you see the delight that reading brings to each child. Volunteer reader shifts are available Monday through Thursday from 9 a.m.- 4 p.m. and are flexible to accommodate your schedule. Shifts vary based on location but can be scheduled in increments of 30, 45, or 60 minutes and may occur weekly, bi-weekly, or monthly. Special accommodations can be made for larger groups. To learn more, contact our Volunteer Coordinator. 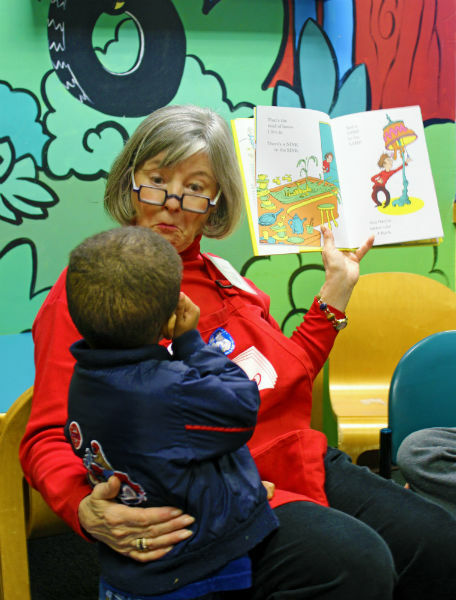 Volunteer readers must be at least 16 years old, unless accompanied by a parent or guardian, and commit to providing a minimum of 20 service hours in a six month period. Prior to volunteering, volunteer readers will be asked to complete a volunteer application, one-time training and orientation, and must agree to specific clinic guidelines as applicable (TB testing, immunizations, etc.). Interested in becoming a Volunteer Reader, sign up to become a volunteer! Reach Out and Ready Kansas City is always seeking new and gently-used children's books to distribute to children in need. What better way to collect these books than by hosting a book drive benefiting Reach Out and Read Kansas City? This is the perfect opportunity to recruit friends, family, colleagues, faith-based organizations, corporations, or civic groups to come together and support early literacy in our community. Reach Out and Read Kansas City will provide all the book drive details and the collection boxes to ensure that your book drive is a huge success. Hosting a book drive is the perfect way to bring together all the people in your life while making a difference for your community. Check out our guidelines and our suggested authors and titles list for ideas. Sign up to host a book drive today. 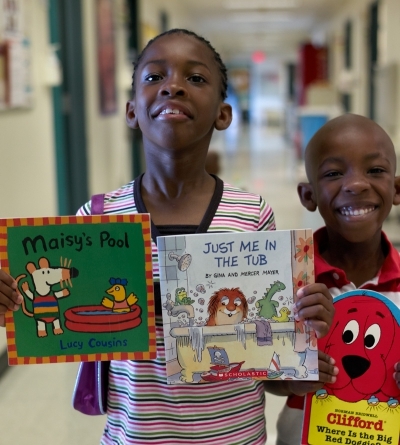 A virtual book drive is another great option to support Reach Out and Read Kansas City. Don't have time to clean off book shelves or shop for the perfect children's book? No worries, Reach Out and Read Kansas City has created a virtual book drive that will allow you to purchase your favorite children's book from a large collection of classics in the comfort of your home or office. Check out the latest titles available in our virtual book drive here. Are you a fun, energetic, and creative individual who enjoys planning different events to benefit a wonderful cause? Reach Out and Read Kansas City wants you! 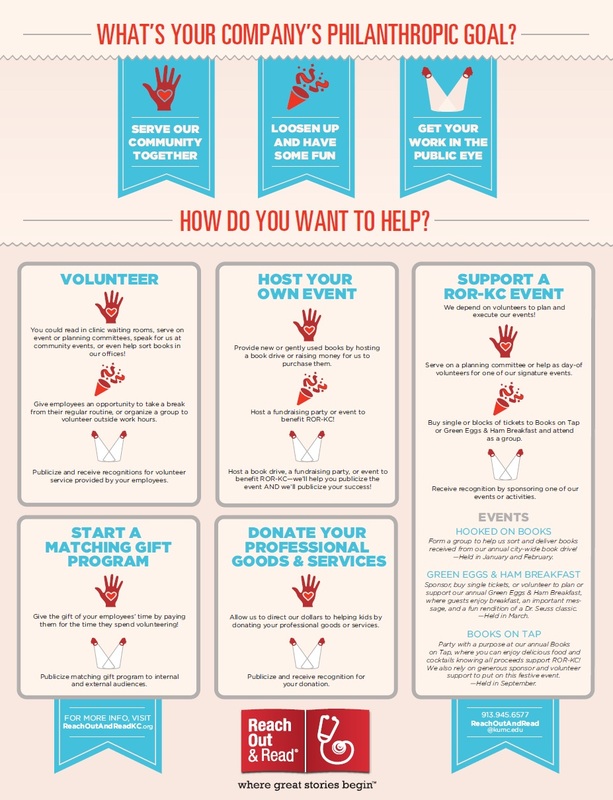 Help plan fundraising events throughout the year. Events include Green Eggs and Ham Breakfast, Books on Tap, and others. Or you may want to host your own event to benefit Reach Out and Read Kansas City. Examples include birthday parties to cocktail parties and everything in between. Being a member of a major event or hosting your own event is the perfect opportunity to get involved and share your passion for reading. Sign up to host your own event benefiting Reach Out and Read Kansas City. Register to help plan Reach Out and Read Kansas City's next event. Share your professional expertise with Reach Out and Read Kansas City and other literacy advocates from our community and support our program. To join a committee or learn more about the current volunteer needs please contact Reach Out and Read Kansas City. Any time commitment you give to Reach Out and Read Kansas City makes a difference in a child's life. Register to volunteer if you are interested in helping Reach Out and Read Kansas City make a difference in the life of a child. Join the Librarian's Club, a group of Reach Out and Read Kansas City supporters who donate $100 or more annually. Members receive recognition here on our website, as well as goodies such as extra raffle tickets, invitations to exclusive events and entries into special quarterly prize drawings. Our Brain Builders are Reach Out and Read's sustainable givers. They donate to ROR-KC each month via their credit card or checking account. It's the simplest way to give, as it's automatic, and a small monthly donation adds up to a significant amount over the year. Monthly giving also helps Reach Out and Read KC plan for the future, since we know we can count on that money. Thank you Brain Builders!